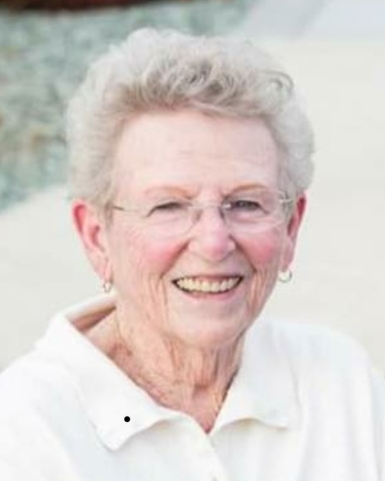 Dian (Frisby) Buhler died Sunday morning January 20, 2019 surrounded by family at her home in Caldwell, Idaho of natural causes. She was born on December 20, 1933 to Claude Thomas Frisby and Mary Lucille (Duncan) Frisby in Heber City Utah. Cena. She is survived by her husband Lyle E. Buhler, her children Roger Buhler of Cascade, ID; Reed Buhler (Laura) of Longmont, CO; Ryan Buhler (Brenda) of Caldwell, ID; Romy Buhler Douglass (Scott) of Clarkston, WA; Rich Buhler (Samantha) of Monterrey Mexico; sisters Karma Wilden (Lysle) of Seymour, Texas; Claudia Frisby Anderson(Andy) of Prineville, Oregon; and by her brother Weston Frisby of Caldwell, ID; and by 24 grandchildren and (several) great grandchildren. At a young age, Dian’s parents moved their family to Vale, OR where she met and later married Lyle Buhler in the Salt Lake City Utah temple of the Church of Jesus Christ of Latter-Day Saints on September 1, 1953. Dian and Lyle enjoyed 65 years of marriage. Dian loved her choice to be a stay-at-home mother. Both Dian and Lyle were involved in all the activities of their children and grandchildren. Dian loved to cross stitch and loved watching basketball, especially the College of Idaho Yotes. Dian and Lyle even traveled annually to the NAIA College Basketball finals to watch the Yotes play. She was active in her church responsibilities and made many ministering visits to those in need of comfort or a meal or those who just needed a friend.